Autocorner Fleet Solutions has exceptional experience in supplying, servicing and managing company fleets, for small and large, local and national businesses. Supplying the full range of new Isuzu UTE vehicles, teamed with Isuzu UTE genuine service and parts, and competitive finance – Autocorner offers the complete fleet solution your business is looking for! Isuzu Motors is one of the world's largest producers of commercial vehicles spanning light, medium and heavy weight classes. Isuzu Motors is also the world's largest commercial diesel engine manufacturer, producing over 23 million engines to date. Isuzu engines are relied upon by top-level automobile manufacturers around the world for their superior performance and exceptional fuel economy. Autocorner is one of the largest provincial motor dealerships in Australia, delivering over 4000 vehicles per annum and employing over 200 staff across 3 locations. Located in Mackay Queensland – the gateway to the booming Bowen Basin Coal terminals and the beautiful Whitsundays, Autocorner Fleet solutions are the mine-compliant vehicle specialists in the region. Autocorner Fleet Solutions know the demands in business. We know that time equals money, and have researched what businesses of all sizes really want when it comes to managing their company fleet. Autocorner Fleet Solutions provides a streamlined approach to Purchasing, Servicing, Financing and Accessorising your company fleet. Whether it's a heavy duty commercial vehicle for the construction or mine site, or a stylish city run-around to keep your business looking professional on the road, your dedicated Fleet Sales Specialist will provide you with a tailored, cost effective fleet solution teamed with the best finance options, to satisfy your company's needs, now and in the future. Your personal Fleet Sales Specialist will be committed to your business. Enjoy the convenience of dealing with the same Account Manager, who will develop an Isuzu UTE vehicle fleet package for your businesses requirements. 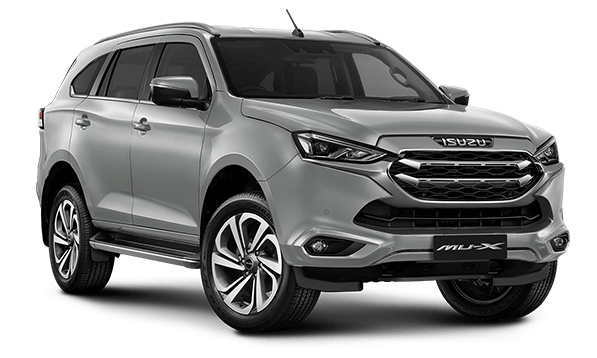 As a priority Fleet Client, you will have the opportunity to take advantage of our exclusive Priority Fleet Stock Pool of Isuzu UTE vehicles, parts and accessories. This will mean you have the opportunity to take delivery of your vehicle in the fastest time frame possible. Autocorner have a team of professional technicians and mine compliant qualified fitters, specifically focused on preparing our Priority Fleet Clients vehicles for delivery. This enables us to confidently give the fastest sale-to-delivery turnaround possible. It also means we can guarantee the quality of our work, as it is all done in-house. Keep your business on the road, by pre-booking a Fleet Courtesy Vehicle (advanced bookings essential). Or why not continue to do business in our comfortable, modern customer lounge – complete with free Wi-Fi, Cappuccino machine, continental breakfast facilities and so much more! We understand that fleet customers look at a vehicle a little differently – you appreciate a low total cost of ownership and expect reliability that you can depend on to keep the job going. To give you the ultimate peace of mind, the Isuzu D‐MAX & MU-X come with our complete aftercare package, Service Plus which includes a 5 year/130,000km warranty^, 5 years Roadside Assistance and 5 years Capped Price Servicing>. Our vehicles are serious about safety and feature extensive active and passive safety features – including 6 air bags, Emergency Brake Assist, Anti-lock Braking System, anti-intrusion. We achieve a maximum 5-star ANCAP safety rating on 4x4 D-MAX Crew Cab, 4x2 D-MAX Crew Cab High Ride models and all MU-X models – and if your fleet requires bull bar fitment, you don't need to worry. The 5-star ANCAP rating is retained when fitted with either of our genuine steel or alloy bull bar options. Our product is engineered for a purpose and our mindset is geared towards reliability, durability and economy. With a specific commercial focus, we provide 23 D-MAX variants and 8 MU-X variants equipped to suit all aspects of your business – whether you are a one-man operation or an international corporation.